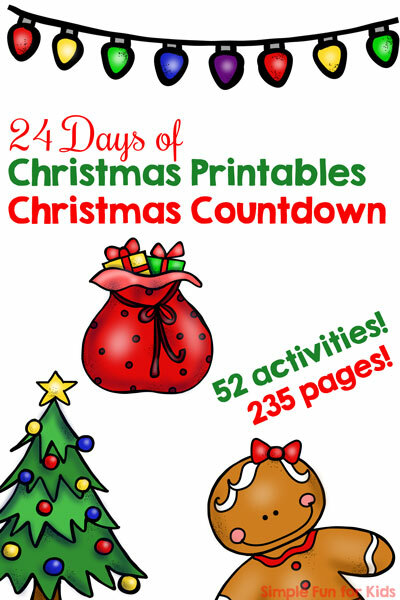 When I think of printables for toddlers, I definitely think of matching games. 2-year-old N has been in love with them for several months now and can’t get enough. 2 sheets of heavy paper. Laminator and 2 laminating pouches. PDF file (see the download below). 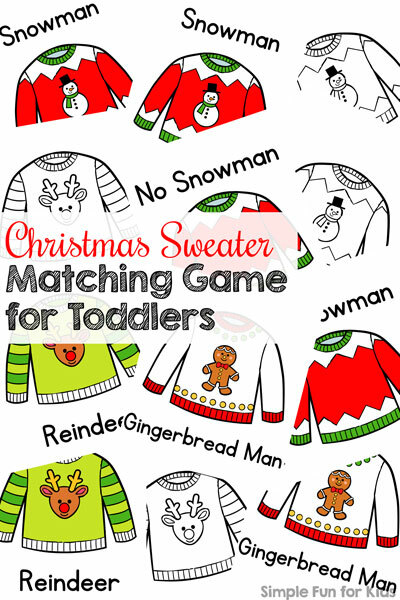 The pdf file contains four pages of different variations you can use to play matching games. Compared to previous games I’ve made, this set relies a little more on looking more closely. There’s one version with images in color and words on each card, one version with images in color and no words, and a black and white version of both. 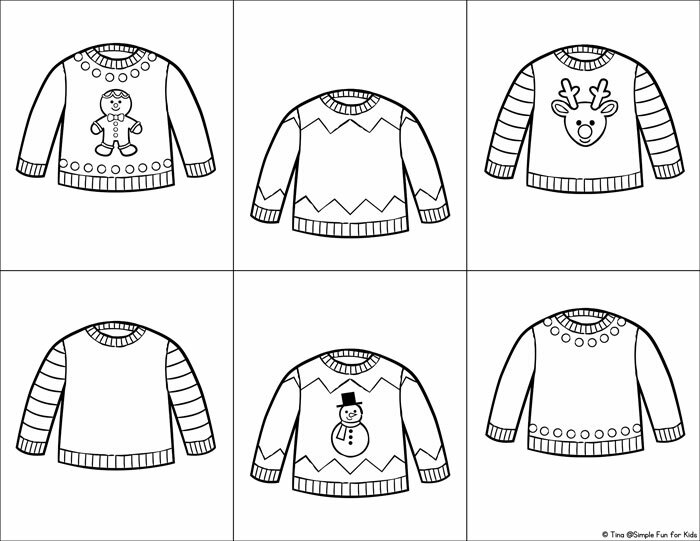 As usual, you can either use two copies of the same page or mix and match different versions, as the images are in the same spots on each page. You could even go a step further with more experienced matching game players and print three pages, again either doing the same page three times or using different versions. 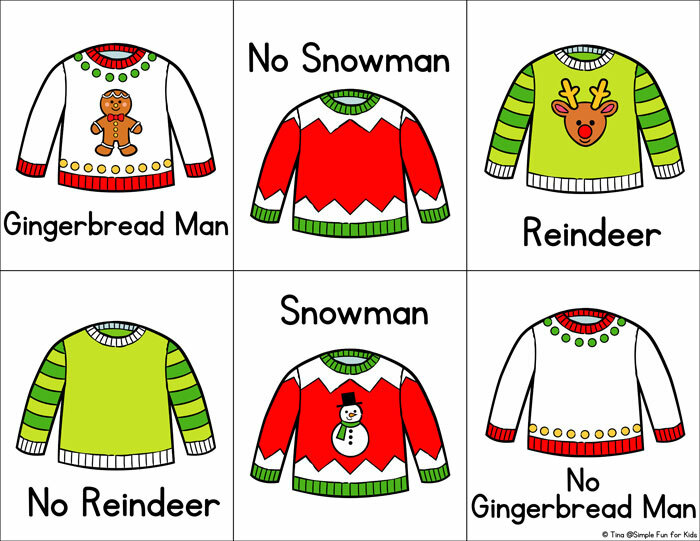 Download your Christmas Sweater Matching Game!